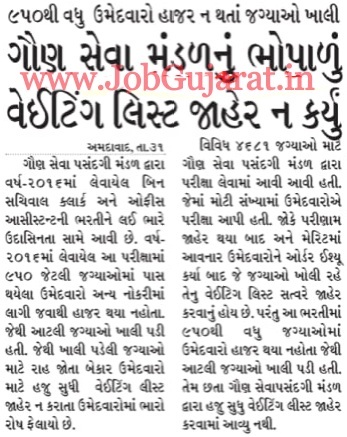 Educational Qualification: Std 12th pass (H.S.C.) or equivalent, Having Certificate /Mark sheet of Basic Computer knowledge or Certificate in Govt. recognized university or institute with Computer as a subject. or Had studied in std 10th or 12th with Computer as a subject.